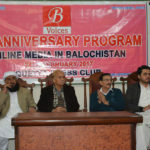 Quetta: First anniversary of Balochistan Voices was celebrated in Quetta Press Club, on Friday. 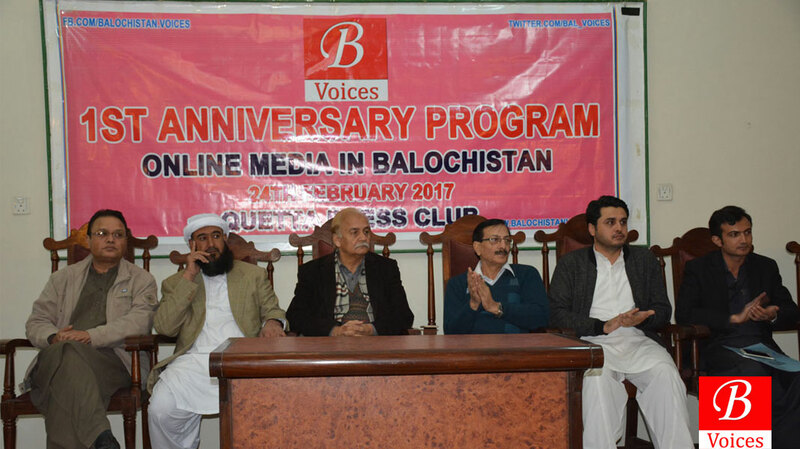 Balochistan Voices was launched on 20th February 2016 and it completed its first year on 20th February 2017. Jan Achakzai, Special Assistant to Chief Minister Balochistan on Media was the chief guest of the program. He said “I am lobbying at different government platforms to develop a mechanism to financially support the online newspapers.” He said that He has also been an active journalist and will do his best to help and facilitate online media in Balochistan. 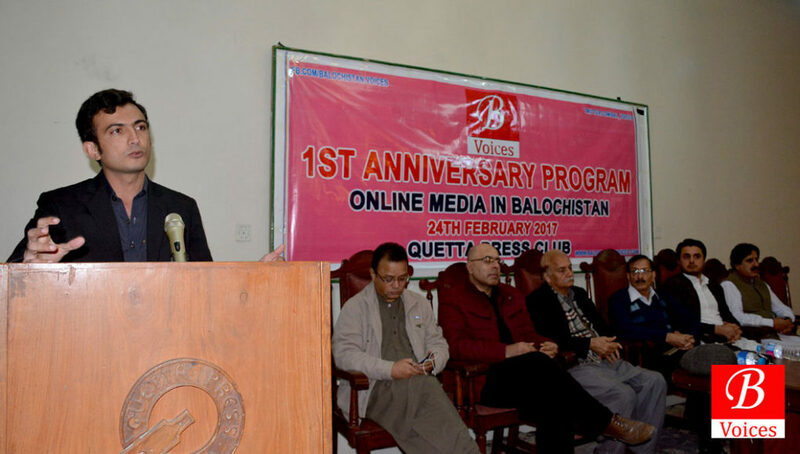 “Balochistan is on a journey of digitalization and the online newspapers such as Balochistan Voices are a step in that direction,” added Mr. Achakzai. Asfandyar Khan, Project Director of Global Partnership of Education – Balochistan Education Project said that there must be integration between media, civil society and government to highlight issues and to work for their solutions. 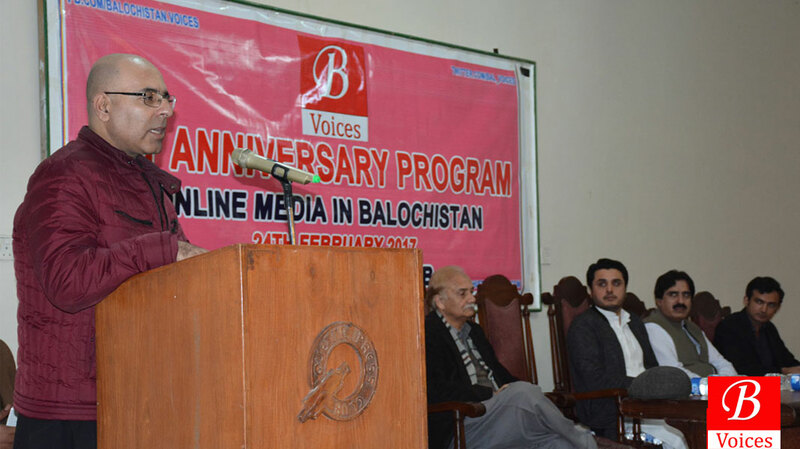 Mahfooz Ali Khan, former Secretary Finance of Balochistan, said that Balochistan Voices is carrying out research and investigative journalism which is appreciable. 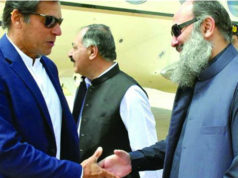 “This newspaper is educating the people about how the province has been deprived by the rulers over time,” said Mr. Khan who also contributes for Balochistan Voices. Saleem Shahid, Bureau Chief of Dawn Newspaper and veteran Journalist, said that He appreciates the team of Balochistan Voices because they are contributing with positive approach and there are no questions on their credibility. “I often take leads from Balochistan Voices for my own stories,” said Mr. Shahid. 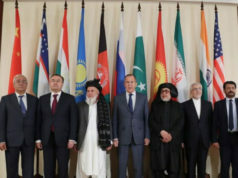 Hammadullah Siapad, former President of Balochistan Union of Journalists (BUJ) said that media is the fourth pillar of the state and we all have to work to make it successful. “We will do our best to help the online journalistic community in all possible ways,” vowed Mr. Siapad. 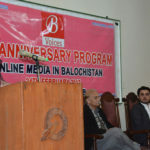 Gul Khan Naseer, Head of Program of Azat Foundation, said that establishment of Balochistan Voices has ushered in an era of competition in online media in Pakistan. “Online media has proved to be an important source of information for everyone including the development sector,” he added. He added that Balochistan Voices was created to ensure that all articles written by people of Balochistan on genuine issues must get a publishing space. “A mechanism must be developed to register and regulate the online newspapers in Pakistan so that the people who are serious in this field can be separated from those who want to misuse it,” He demanded. Hamayoun Kasai a media Development Professional, Abdullah Shahwani President of Khuzdar Press Club and Hameeda Noor from Civil Society Balochistan also addressed the program. People from media, academia, literature, civil services and development sector attended the event and appreciated Balochistan Voices for its efforts. Sami Zarkoon moderated the program whereas Advocate Imran Baloch delivered Vote of Thanks. Yahya Sahil Reki belongs to District Chagai of Balochistan. He covers Quetta Division for Balochistan Voices. He also works as a newscaster at PTV Bolan.